When Biggs was first announced and I combed through the comics that he was in, I wound up with over a dozen customs to make with him. 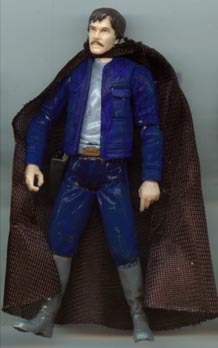 I wasn't sure if I'd be able to get all the figures I'd need to make them all, and this outfit went in the secondary pile, as he's shown in this outfit during the same scene that was cut from ANH. 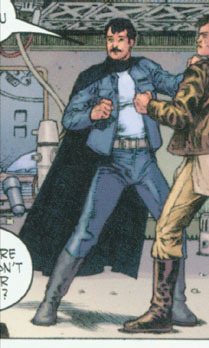 In other words, this is really more of a coloring error than a different outfit. Biggs wound up being a bit of a pegwarmer (at least in my area) so I made this figure anyway.